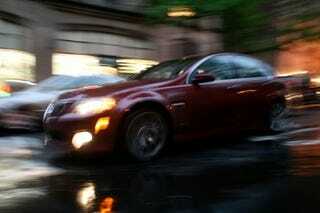 Automotive News: Pontiac G8 Might Survive? Despite GM CEO Fritz Henderson saying "no chance" at a Pontiac G8 rebranded for Chevy, Buick or any other GM brand, Automotive News today reports GM's Tom Stephens claiming the G8 sedan "might survive with another GM badge." Wait, what? "I know there's still discussions on it," says Stephens. "But Chevrolet already has several sedans. How many sedans do you need to cover the waterfront?" Hmm, that reads more to us like "I know enthusiasts are discussing this, but we're not going to be doing it." There aren't any more sources they're quoting in today's piece.